We at Sturgeon Heights CC are excited to offer this 10 week program once again. Here is the information regarding the program with registration information located below as well. Therefore there are only 20 spots per age group. Cost: $60 FEW SPOTS LEFT! The payment process must be completed or your registration will be voided. Additionally should you register your child in the wrong age category this will also void your registration. 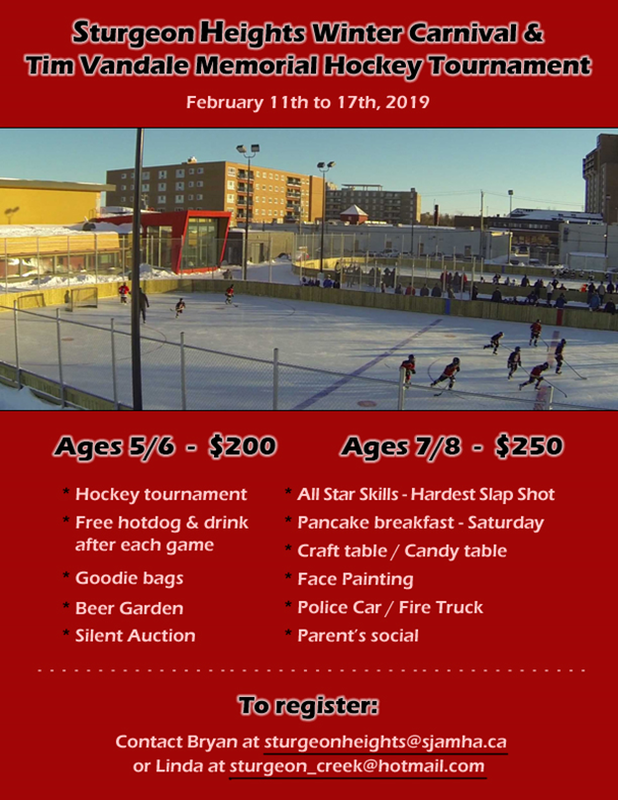 Please go to www.sjamha.ca to register for 2018/2019 hockey. Registration is available as of August 1, 2018. Are you looking to book space in our new facility? Please visit this page to find out more!